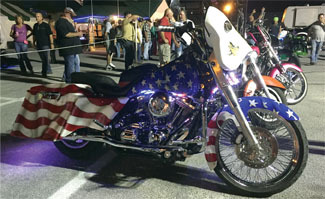 Twice yearly the motorcycles roar into Panama City Beach. The bikers come ready to party and now there is a new location created by bikers giving them the perfect place to play while in PCB. 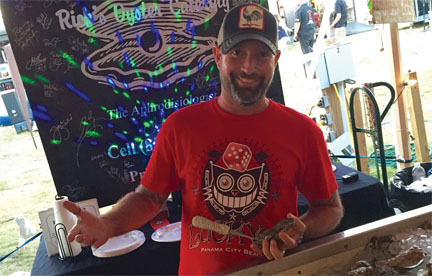 The LUCKY 13™ is much more than a vendor village. One rally attendee said, “Ya’ll didn’t just create a venue, you created an event.” That neatly sums up the overall vision of what you’ll find. The idea behind creating a new vendor village experience for the Panama City Beach rallies came from Full Throttle Magazine Editor Randy Snyder. He and the magazine have 14 years of being involved with the rallies. The first few years the magazine was a Title Sponsor of the Thunder Beach rally. Many of the signature events being used by the rally today were created by Full Throttle Magazine. After spending several years managing the Boardwalk Beach Resort venue Randy knew it was time kick up the PCB rally a few notches. In order to do so he first had to assemble a team each with their own skill set to handle. Velda Whigham who owns The Buoy Bar in PCB, and is a longtime friend, was first on the list. She handles city contacts, permits, licensing and bar management duties. Tommy Griffin, TCG Productions, was brought in for staging, sound and production. Joey Hood, is the bulldog. He handles all ground logistics, security and equipment rentals. Randy with his wife Vivian handle vendors, marketing, merchandising and promotions. This team has definitely kicked things up. A sword swallower, fire breathing act was the first act to shock the crowd. Top tier entertainment has graced the stage, with the venue being the first to bring national rally touring act Jasmine Cain to PCB, as well as many Nashville recording artists. You’ve been able to see the Batman and Ironman custom bikes. There have been burnout shows and Ride Like a Pro demos. The biggest question is, just what are they going to do next? Sure there are vendors and lots of them. The vendor spots were sold out with over 60 at the just completed fall rally. 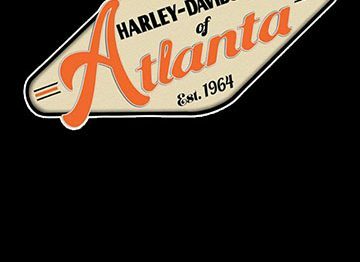 They have been hand selected, carefully recruited from other national motorcycle rallies, but also from car shows such as the World of Wheels. The goal was to find the best quality and widest assortment of products available. There aren’t many places where you’ll find laser etched glassware and wooden signs. The same careful process has gone into the food vendor selection. With everything to choose from such as the usual hamburgers and hotdogs, all the way to pizza, fried chicken and pork chops. One of the best cheese steaks you’ll have anywhere was also available. As important as all the acts and vendors are to the event, there is something else that really sets The LUCKY 13 apart. That is the commitment to Patriotism and Faith, and to giving back to and serving our Veterans and the community. Each night before the headlining acts hit the stage a prayer is held and the National Anthem is performed. A Veteran selected from the audience proudly takes the stage and stands in attention to present the flag. Most nights all veterans are called to the front of the stage while the ceremony is held. This is the true spirit of The LUCKY 13™. It doesn’t stop there. 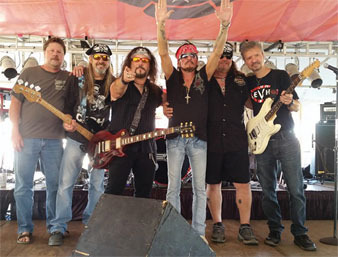 During the rally rocker and longtime rally musician Jimmie Van Zant stopped by the venue and performed a few songs. Jimmie is suffering from liver cancer so an impromptu fundraiser was held. Buckets were passed and after The LUCKY 13 partners decided to add $500 to the pot, nearly $3000 was raised. It doesn’t stop there. 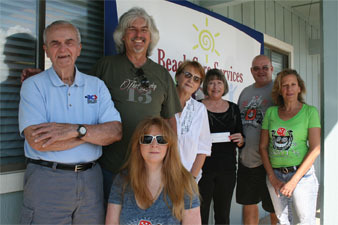 On November 6, The Lucky 13 team stopped by Beach Care Services to drop off a donation for $500. This organization provides aid to PCB residents who may fall on some tough times and need help with rent, utilities or prescriptions. On November 7th, the team participated in the annual Veterans Charity Run. It is a motorcycle poker run with proceeds benefitting Veterans groups including the Friends of Sims Veterans Nursing Home and The Veterans Task Force of NW FL. During the afternoon raffles, The LUCKY 13 presented both Friends of Sims and The Veterans Task Force checks each for $500. And again, it doesn’t stop there. New flags have been ordered for the classrooms of North Bay Haven Charter academy so the kids can say the Pledge of allegiance to real flags instead of an image on a screen. While The LUCKY 13 may be known as “The Place Where Bikers Come to Play in PCB” it is also known as a place with a lot of heart and caring for its community. Be sure to check it out at the upcoming spring rally April 25 – May 1, 2016. The rally officially opens on the 27th, but if you’re going to be a leader you have to be the first rally venue to open and the last to close. More on Facebook, TheLucky13PCB and on their website, Lucky13PCB.com.